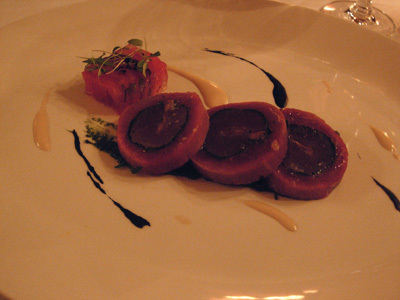 Unlike our previous visits here, we're ordering from the a la carte menu rather than take the degustation option. 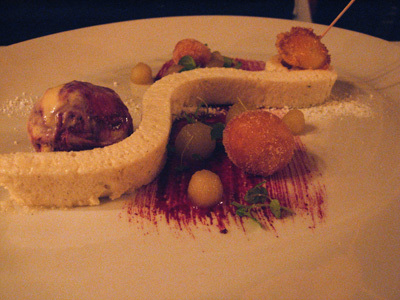 This was quite a spectacular dish and not what you immediately picture from its description. 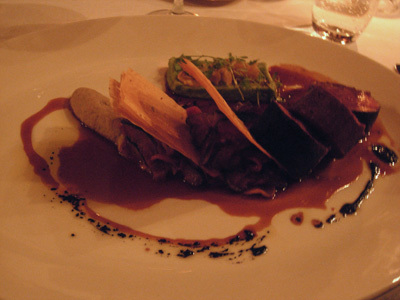 The slow cooked rabbit and jamon have been layered, mille-feuille style to form a terrine of sorts. This terrine was then sliced and topped with a good piece of incredibly moist and delicately smoked eel. 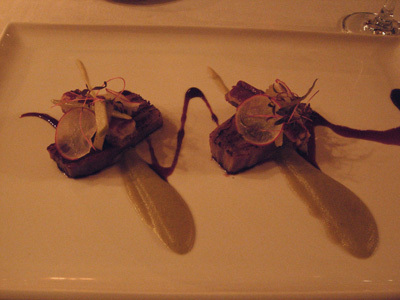 In this dish the veal loin has been stuffed with a yellow fin tuna roll which it in turn has been studded with anchovies - salsa verde rests between the tuna and veal. 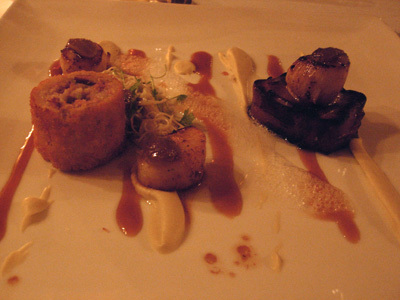 The brawn croquette sits on the left side of the plate and to the right a good thick slice of roasted suckling pig. The ratatouille tart is freefrom - the ratatouille mix sits between two shards of crisp filo. 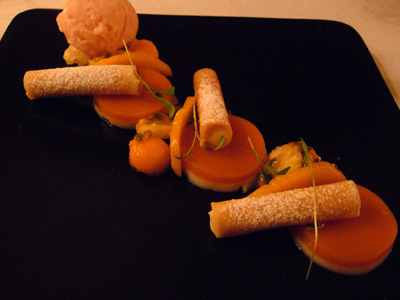 mango and coconut is always a great flavour combination but those brik pastry cigars filled with lemongrass custard where fantastic. They were like the ultimate cannoli. The chiboust is presented as that artistic curve that runs through the plate. Every time we eat here we leave more impressed than before. 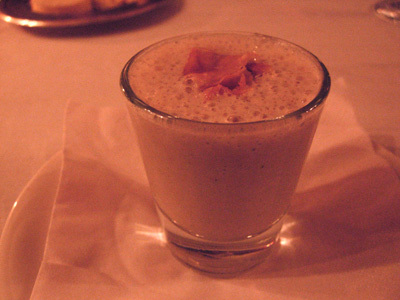 The chef has really found his style and groove and the desserts are now as interesting as the savoury dishes on offer. 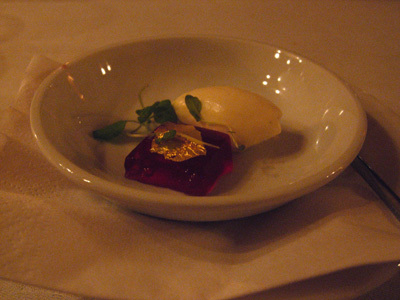 The desserts seem to show the distinct style of Pierre Roelofs, former Pastry Chef at Interlude in Fitzroy. Is he consulting at Chateau Yering or perhaps responsible for training Adam Tippins? Pierre is working with Robin Wikens at The Deanery apart from that I have no information on the history of Adam Tippins.